Cape Town’s Werdmuller Centre, an iconic modernist building designed by renowned architect, urbanist and teacher, Roelof Uytenbogaardt, is under threat of demolition. A questionable Heritage Impact Assessment conducted in December 2007, states that the main reason for the demolition of the defunct shopping mall is that it is financially impotent and therefore a liability for the owner. 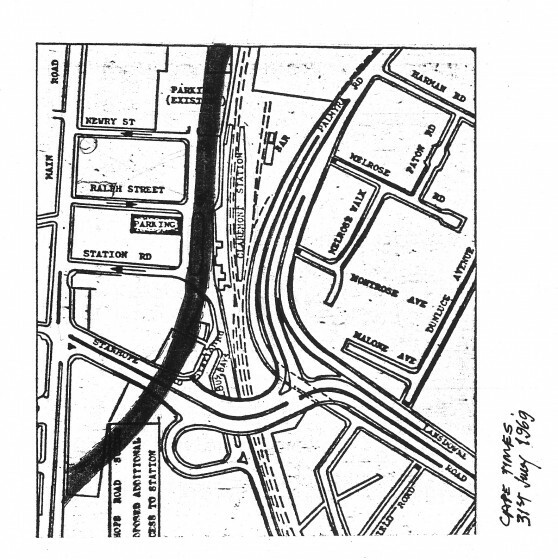 This paper traces the urban, economic and political contexts within which Uytenbogaardt and his colleagues conceived the design of the building, a design that quietly sought to reconnect displaced communities to the city within the oppressive political arena of the 1970’s; a design that sought to prioritise the needs of the pedestrian thereby serving the needs of the lowest income groups; and a design that investigated a more social approach to shopping in the conception of an open market or souk. The Werdmuller Centre was also conceived within the context of urban proposals that have not materialised as originally planned, for example the Claremont Boulevard, a highway that is present in Uytenbogaardt’s earliest conceptual sketches. The design also hinged on the premise that that part of Claremont would become progressively geared towards a broad-based use of public transport – whereas today, the opposite is in fact the reality. The paper will attempt to unpack these and other ‘imaginary’ and unrealised contexts within which the building was conceived and built. Keywords: Roelof Uytenbogaardt, Werdmuller Centre, Claremont. Le Centre Werdmuller, un bâtiment exemplaire du modernisme, dessiné par le célèbre architecte, urbaniste et enseignant Roelof Uytenbogaardt, est menacé de démolition. Un discutable rapport d’impact sur le patrimoine (Heritage Impact Assessment), effectué en décembre 2007, établit que la raison principale de la démolition du centre commercial en déclin est qu’il n’est pas viable financièrement et, par conséquent, qu’il est dommageable à son propriétaire. Le présent article va retracer le contexte urbain, économique et politique dans lequel Uytenbogaardt et ses collègues conçurent le plan du bâtiment. Un plan qui cherchait discrètement, dans le cadre le la politique d’oppression des années 1970, à relier à la ville des communautés déplacées ; un plan qui cherchait à donner la priorité aux besoins du piéton et ainsi à servir les besoins des groupes aux revenus les plus bas ; et un plan qui explorait une approche plus sociale du shopping, avec la conception du marché en plein air ou du souk. 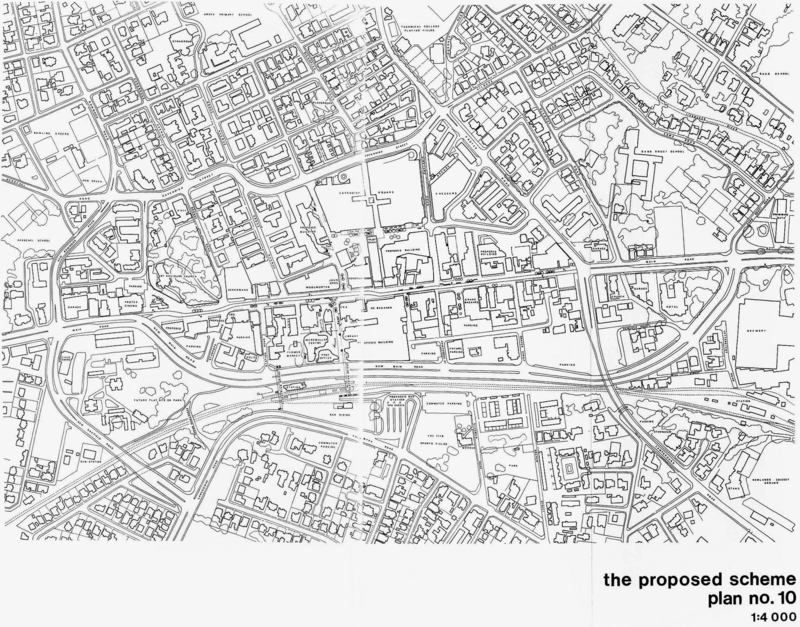 Le Centre Werdmuller a aussi été conçu dans un contexte de projets urbains qui ne se sont pas concrétisés comme ils avaient été initialement prévus, par exemple le Boulevard Claremont, une autoroute présente dans les premières esquisses conceptuelles de Uytenbogaardt. Le plan s’appuyait aussi sur la supposition que cette partie de Claremont serait progressivement destinée à une utilisation générale des transports en commun – tandis qu’aujourd’hui, c’est en fait l’inverse quis’est réalisé. Le présent article tentera d’exposer ces divers contextes « imaginaires », fantomatiques et non réalisés dans lesquels le bâtiment a été conçu et construit. Unfortunately the Werdmuller Centre, as the development became known as, has never thrived as a commercial venture despite being so strategically positioned within a whirlwind of foot traffic with the potential to purchase. It is for this reason that in 2006-7 the owners, Old Mutual Properties, sought a demolition permit for the building. This paper will try and uncover the reasons why the Werdmuller Centre failed commercially by examining the urban, economic and political contexts within which the development was conceived and built. It is my contention that the economic failure of the Werdmuller Center cannot be solely blamed on the design of the building as has been done in a recent Heritage Statement[ii]. The shifting socio-economic, political and urban milieu within which Uytenbogaardt and his colleagues found themselves at the time had a major influence on what the Werdmuller Centre has become today. The design intention of the Werdmuller Centre was to revitalize the east part of the main road which was under threat of becoming blighted. This was in contrast to the west side of the main road which was becoming more and more gentrified. Uytenbogaardt and his colleagues’[i] design intentions were to create a shopping environment that was an alternative to the North American model of the air-conditioned box accessed predominantly by car. 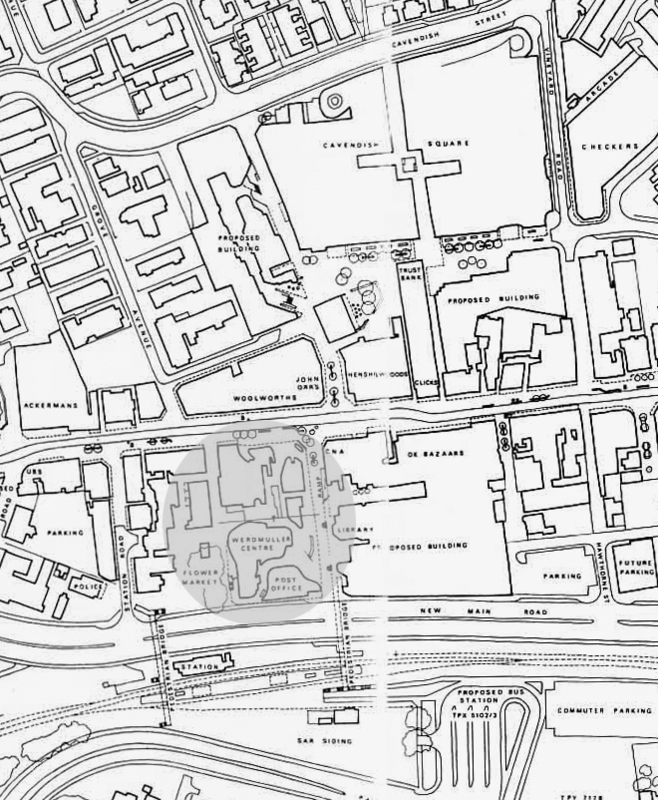 The Werdmuller centre was an externalised building that sought to pick up views of the mountain (Figure 4) and to draw on the existing pedestrian traffic flows to and from the main road and the station (Figure 3). Programmatically, the idea was to designate one extended space that would accommodate a large market or souk, as opposed to a building with many individual shops. The market or souk is a more affordable option in terms of rental, than individual shops, because resources such as storage, electricity and water could be easily shared. The subtext to this idea was to offer trade opportunities to poor non-white traders who at the time were not allowed to trade freely in the city. In turn the proposed shopping model would then also aid in combating the rising unemployment rates by stimulating a micro economy. In addition to the building’s strong social agenda, it also exuded a rare confidence in the art of architecture and expressive form making. The rest of this paper will aim to uncover this ‘lost’ utopian urban possibility and how it came to be that it was never manifested. I will examine three conditions, namely, urban context, socio-economic and political. 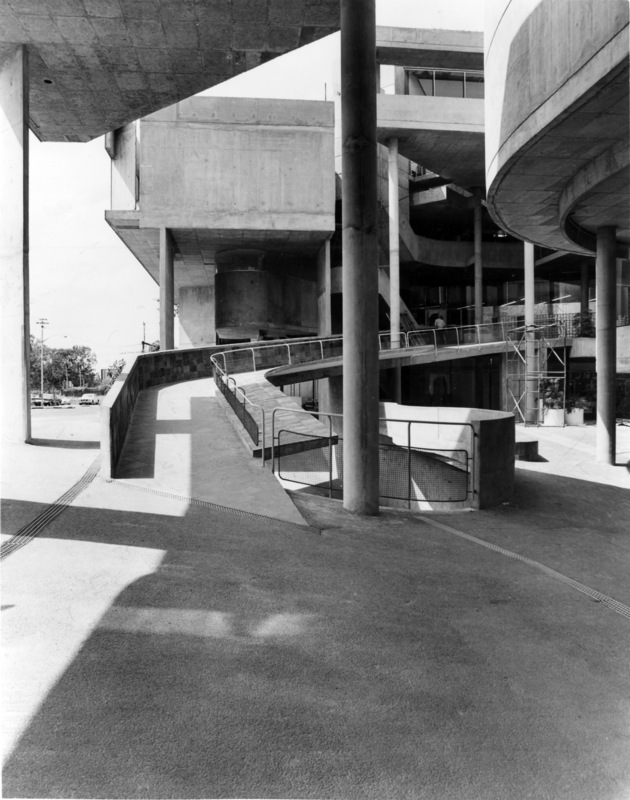 As much as the building responded to its existing context, there was always an ambivalent sense that it was planned for a future condition as well as trying to deal with an already eroded context. Claremont was at the time, and still is today, undergoing a major urban transformation. During the 1960s and 70s the city had many grand development schemes on the table and Uytenbogaardt not only took cognisance of these future developments but utilised them as design constraints and informants for the Werdmuller Centre. Evidence of this is the fact that he included a drawing of the Claremont By-pass that was published in the CapeTimes in 1969, in his design proposal that was submitted to the client (Figure 2). 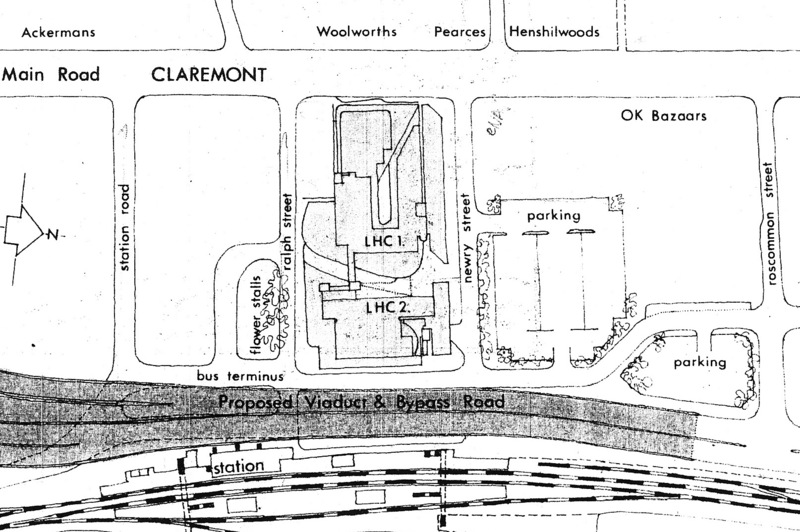 Even the early concept sketches (Figure 5) include the Claremont By-pass in its elevated form, albeit with a question mark hovering above it. How was he to know that a year after the Werdmuller Centre was completed, the City would publish its City Councils Claremont Report of 1976[iii] (Figure 7 & 7.1), in which, amongst other major changes, the Claremont By-pass was to be implemented at-grade and not elevated as previously planned thereby disrupting the natural flow of people from the station to the Werdmuller Centre? The same report also proposed a building, which included a library, on the site previously dedicated to public parking, north of Newry Street. Because the Werdmuller Centre depended on the “generous public parking area to the north”[i] as described in the design proposal, it did not see the need to provide more parking within the envelope of the building, other than the 23 bays that would service the apartments. However, this new 1976 plan seriously undermined the Werdmuller Centre’s viability from a parking point of view. 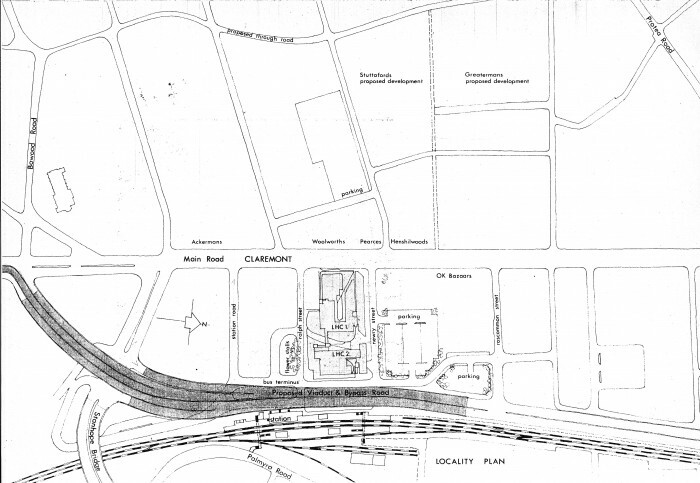 A further negative spin-off for the Werdmuller Centre was that the new amended design for the Claremont By-pass – at grade and not elevated – threatened to disrupt the natural flow of pedestrians from the station to the main road, a principle on which the design of the Werdmuller Centre hinged. 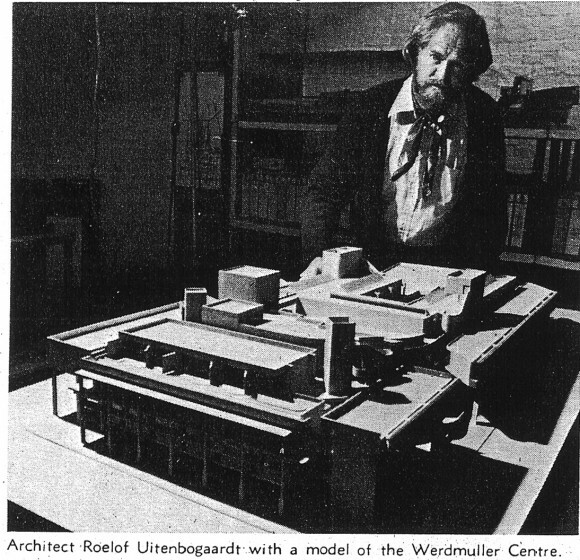 From the early concept drawing of the Werdmuller Centre, one can surmise that Uytenbogaardt was not only informed but also inspired by this proposed elevated concourse and thought that it, together with the building, could create a dramatic urban-architectural moment as well as add to the much needed foot traffic in order to maximize the retail potential of the Werdmuller Centre. The form of the building was directly informed by the proposed elevated highway; the top half the offices are deeply set back behind concrete screens that form green balconies. These screens would have the added function as a sound barrier against the By-pass which would be more or less at that level. The bottom half, on the other hand, has a much more delicate and transparent design with double-volume shop fronts boldly displaying goods to pedestrians coming from the station. Much of the design of the Werdmuller Centre was informed by a well organized and integrated range of modes of transport. 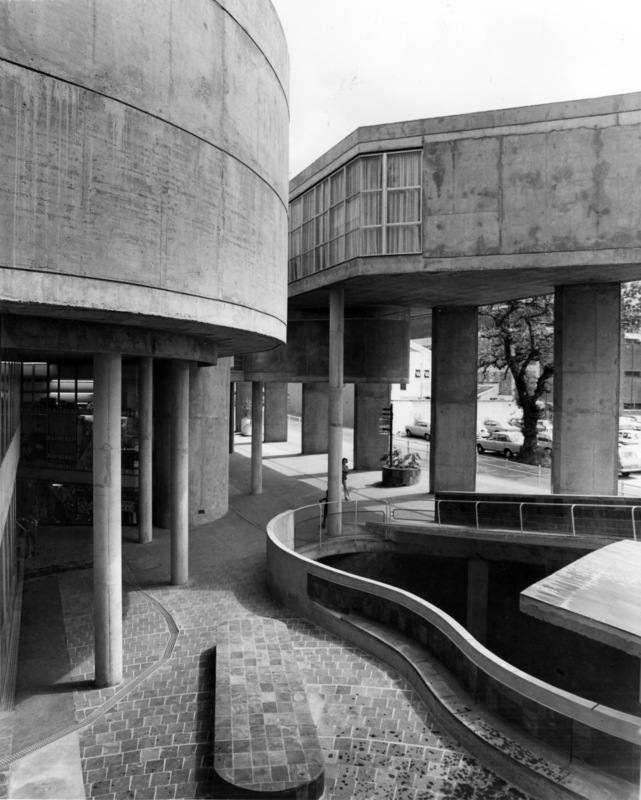 However, it is important to note that between the times that the Werdmuller Centre was planned (circa 1965-69) and its actual construction (1970-75) the City’s transportation policies would undergo major shifts. Public transport in Cape Town grew exponentially from the turn of the 19th century until 1950 when it was at its peak. As Ron Kingma explains[i], the public transport system flourished from the seed that it was 1801, when the first horse drawn passenger carrying service from Cape Town to Simon’s Town was implemented, until the late 1950-60’s, when a rich network of bus, trams and rail transportation existed (Figure 9). 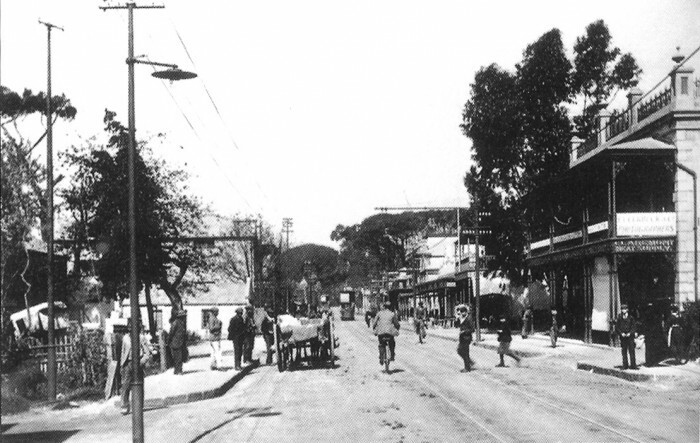 Claremont’s development as a shopping district was a direct consequence of this growing public transport system. According to Kingma, by 1960 200 million bus passengers were being transported every year in Cape Town on a fleet of 600 buses and 139 trackless trams and traveling 43 million km per year. The railway was as in demand, carrying 100 million rail passengers per year. The private car was in the minority. However the mid 1960’s saw a major re-evaluation of public transportation values and a move towards private car travel (Figure 10). Kingma asserts that there was a “sudden aspiration to braaivleis, sunny skies, drive-in and Chevrolet” (Kingma 2004: 440) and because of this demand of the private car, the authorities began to adopt the North American transportation model geared towards prioritising the urban use of the private car, and its concomitant demands on urban planning. This era saw the construction and planning of highways, road widenings and narrowing of footpaths and covering up of tramlines. Instead of the motorcar becoming an added feature in the transport landscape/network of the city, it really became the dominant order, thereby all but obliterating previous networks of transportation. Kingma further explains that after 150 years of exponential growth in the public transport industry, bus patronage started to decline. By 1970 bus patronage dropped by 120 million per annum. Buses were literally marginalized to the sides of the road and private cars continually sought to ‘drive out’ buses as they were considered to cause traffic delays. A further impact on the economic viability of buses was caused by the relocation of communities through the Group Areas Act and the racial segregation of passengers, thereby splitting one healthy market into smaller and unpredictable markets. The deregulation of the minibus taxi industry in the 1980’s further hampered the viability of buses. The taxis introduced fierce competition because traffic congestion and slower traveling speed of buses caused by more motorcars on the road, attracted commuters to taxis rather than buses. Public transport’s major mode – the safe, highly regulated and monitored bus system, was suddenly overtaken by an informal, unsafe and unreliable taxi system. As one can imagine, these major shifts again impacted on the viability of the Werdmuller Centre because the Werdmuller Centre catered for a public transport environment where all modes of transport enjoyed more or less equal status, which then had the potential of attracting a wide range of potential shoppers. 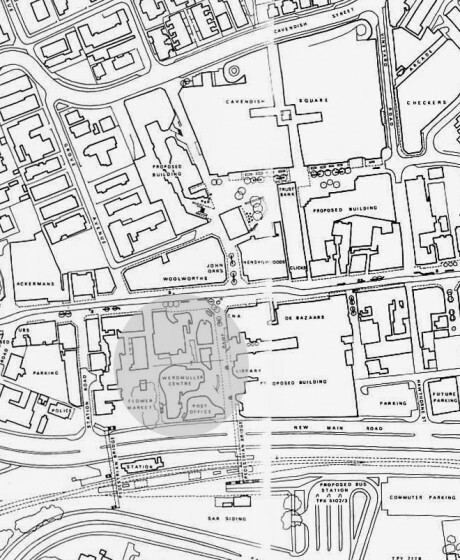 Essentially what these shifts – taxi to bus, bus to private car – caused was a separation of rich and poor, thereby reducing the potential clientele for the Werdmuller Centre. The Werdmuller Centre was conceived, planned and designed in an era where public transport was relatively utopian but was constructed in an era that suddenly saw other social values in place. The dominance of the private motor vehicle inevitably led to the neglect of services to the poor who were unable to afford the expense of a car. Inevitably the Werdmuller Centre were also to suffer neglect because it was seen as a building that could not participate in a wealthy economy as it does not serve the needs of the rich. Kingma states (2004: 442) that private car ownership increased from 10% of the population in 1960 to 24% of the population in 1980. But interestingly, between 1980 and 2004 the private car ownership % has remained static at 24% even though the population has trebled. This is largely due to the fact that the city has seen a vast increase in poor people moving to the city from surrounding rural areas in search of employment and better economic conditions. Because most of these poor people cannot afford cars they are dependent on a public transport system that has been neglected by city authorities since the 1960s. Currently there is a renewed interest in providing proper public transport in the form of the implementation of policies such as the National Land Transport Transition Act and one hopes that the authorities and the owners, Old Mutual Properties, will recognize that the Werdmuller Centre’s original intentions are in line with current policies of providing for the poor and creating an integrated society. Claremont preens itself when outsiders praise its wonderful shopping Centre. 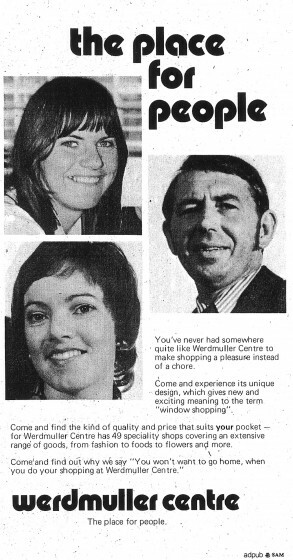 But the people who live in Claremont have their own special shops, often not the big showy stores with huge shop-windows but little places tucked away down a side street, recommended perhaps by a neighbour who has dealt there for years. She goes on to describe how (1958:64): outsiders complain that the population of Claremont is ‘so mixed’ not stopping to think how much the character of the Village owes to this variety. The different races have learnt to live together here in a civilized fashion: there is room for all in this Market Place. 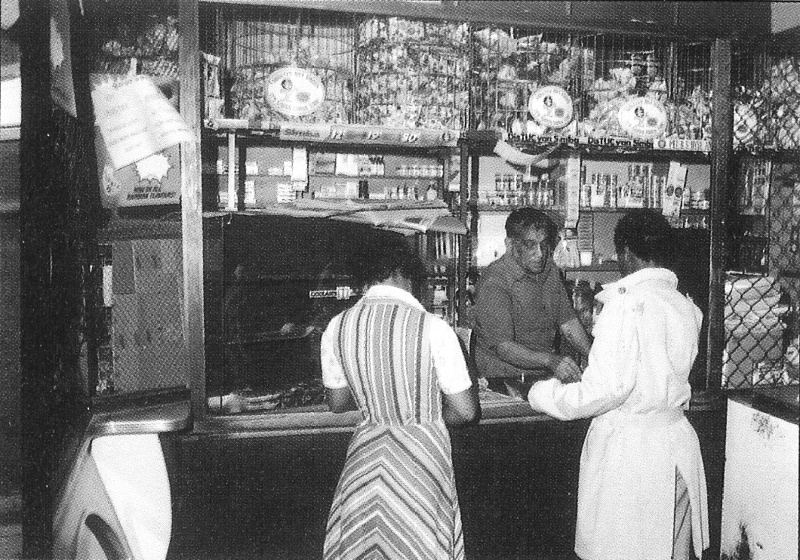 There is no Colour Bar in the shops, and no one is scowled at or jostled off the pavement because of the colour of their skin. Little was she to know that this idyllic, tolerant existence would be completely disrupted less than ten years later with the introduction and implementation of the Group Areas Act. But what impact did the forced removals of an estimated 19000 people have on the Werdmuller Centre? For one it reduced the number of foot traffic to the centre because not only was there a decrease in the Claremont population but also a decrease in visitors to Claremont. Secondly, the Werdmuller Centre’s idea of catering for a micro economy and small scale traders – the souk idea – could not happen because that part of the population was not there anymore. Conversely, a more up-market shopping centre like Cavendish Square thrived partly due to the influx of the more affluent whites moving into Claremont. Old Mutual Properties tried unsuccessfully to market (Figure 12) the Werdmuller Centre to a more up-market clientele, but could not meet their demands such as in-house parking, a completely artificially climactically controlled environment and most importantly, security. It is worth mentioning that the context within which Uytenbogaardt worked with his client was also a moving target. Soon after the first design proposal (known as LHC 1) was complete, Old Mutual acquired additional adjacent property and required Uytenbogaardt to incorporate the new acquisition without going through the expense of total redesign. In this article I have tried to present a more complete picture of the circumstances with in which the Werdmuller Centre was designed and executed. On an urban scale the building was designed within a context of connecting to a rich transportation network and contributing to the existing externalized, street based shopping culture. It was designed within a setting that was relatively socially integrated in terms of class and race. 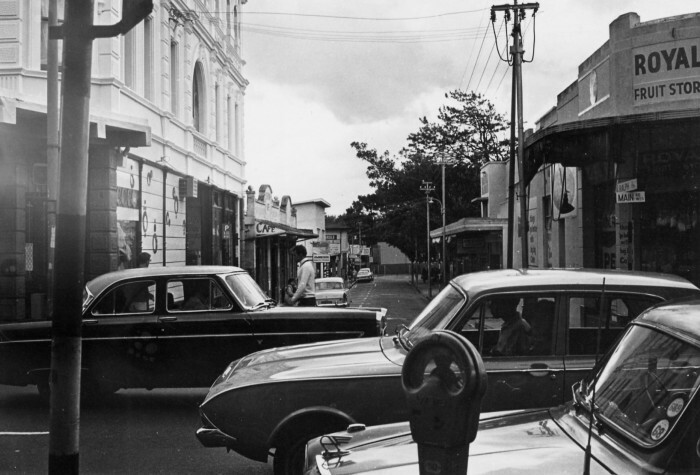 Much of these circumstances changed with the shift towards the use of the private car and the introduction and implementation of the Group Area Act, causing major changes in the social integration of Claremont and Cape Town as a whole. Together with these various shifts came the fact that more emphasis was placed on security thereby creating the desire for internalized and incubated shopping environments. It is important to place the Werdmuller Centre within this context of constant change because it affected the economic (un)feasibility of the Werdmuller Centre, the major reason the owners want to demolish the building. Today, 40 years after the proposal for the Werdmuller centre was submitted, with all its utopian ideals and strong social agenda, stands what Giovanni Vio calls, in his book on the work of Uytenbogaardt, an “urban wreck” (2006: 71). It remains constant within an ephemeral urban, economic and political context. Despite the fact that the Werdmuller Centre’s strong social agenda is even more relevant today in our time of reconciliation, Old Mutual as well as Claremont City Improvement District is geared towards tearing the building down in order to establish a purely profit-making entity. This, together with the various shifts as discussed in the paper all have the effect of marginalizing the poor. Perhaps a way forward for the Werdmuller Centre is to critically analyze the present situation in terms of urban planning, socio-economic and political contexts in order revive the Werdmuller Centre as a building that thrives economically as well as fulfill its original objectives of inclusivity, urban connectivity and democracy.